Bella Violet, & Bella Purple. 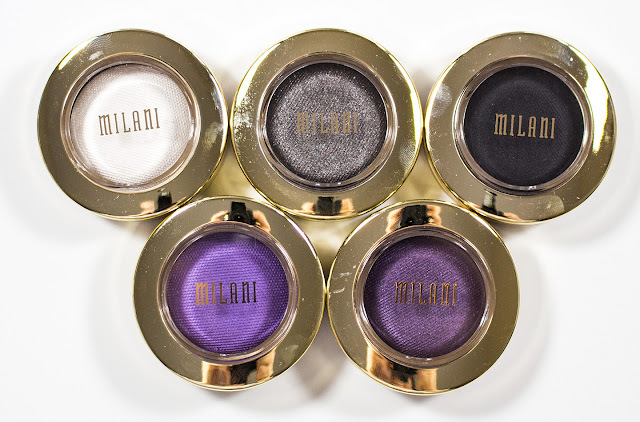 The Milani Bella Eyes Gel Powder Eyeshadow retail for $4.99US and $6.50CAN at Zerhs for 0.21 oz / 6.0g of product. These where the shades offered by Zerhs but they have rearranged their display to not include them. 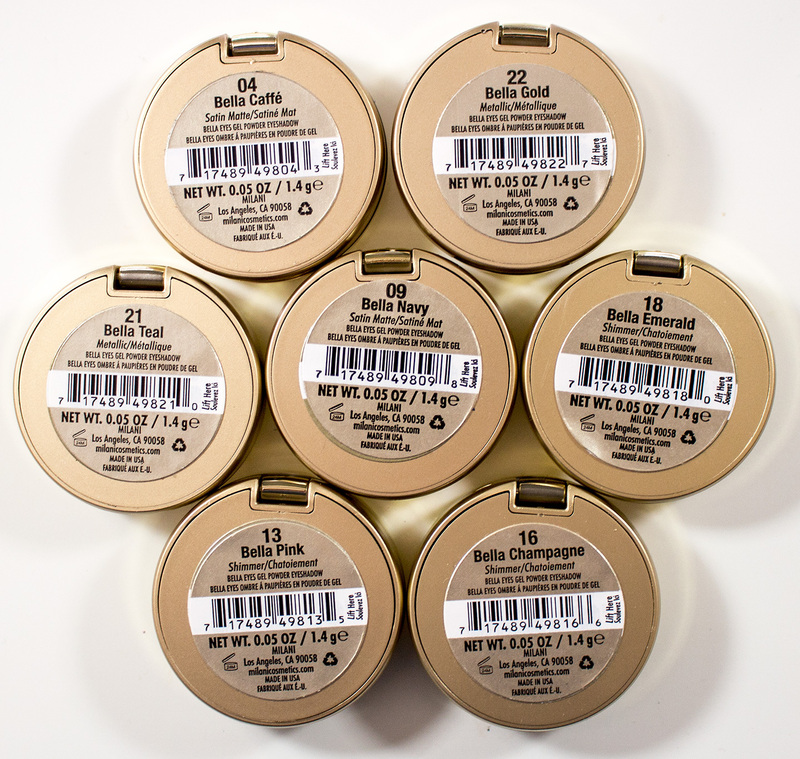 But Rexall also carries some of these shades now as well in Canada. Bella Chiffon, Bella Ivory, Bella Sand, Bella Cappuccino, Bella Bronze, & Bella Espresso. 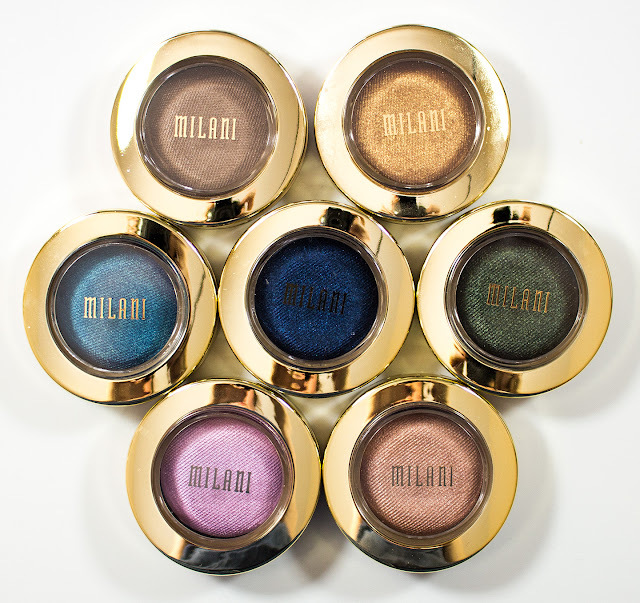 Bella Caffe, Bella Gold, Bella Teal, Bella Navy, Bella Emerald, Bella Pink, & Bella Champagne. Bella White, Bella Charcoal, Bella Black, Bella Violet, & Bella Purple. Mica, Synthetic Fluorphlogopite, Silica, Aluminum Starch Octenylsuccinate, HDI/Trimethylol Hexyllactone Crosspolymer, Dimethicone, Isononyl Isononanoate, VP/Hexadecene Copolymer, Cetyl PEG/PPG-10/1 Dimethicone, Octyldodecanol, Magnesium Aluminum Silicate, Nylon-12, Caprylyl Glycol, Ethylhexylglycerin, Ammonium Acryloyldimethyltaurate/Beheneth-25 Methacrylate Crosspolymer, Polysorbate 20, Polyisoprene, Talc, Pentaerythrityl Tetra-di-t-Butyl Hydroxyhydrocinnamate. 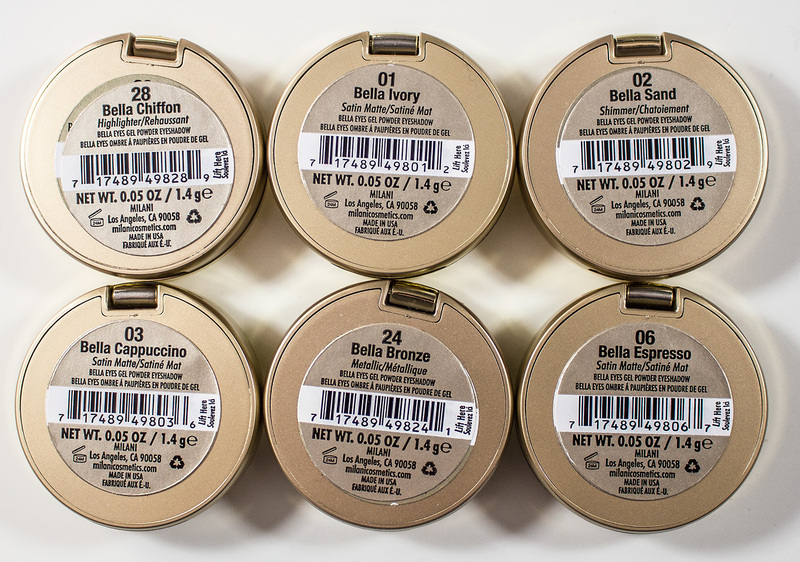 +/- May Contain: Tin Oxide, Titanium Dioxide (CI 77891), Iron Oxides (CI 77491, CI 77492, CI 77499), Manganese Violet (CI 77742), Ultramarines (CI 77007), Ferric Ferrocyanide (CI 77510), Carmine (CI 75470). 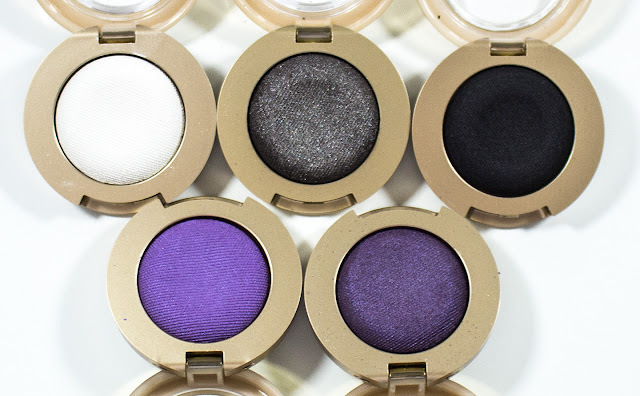 These eyeshadows fall under 3 finishes satin-matte/pearl, shimmers and metallics. 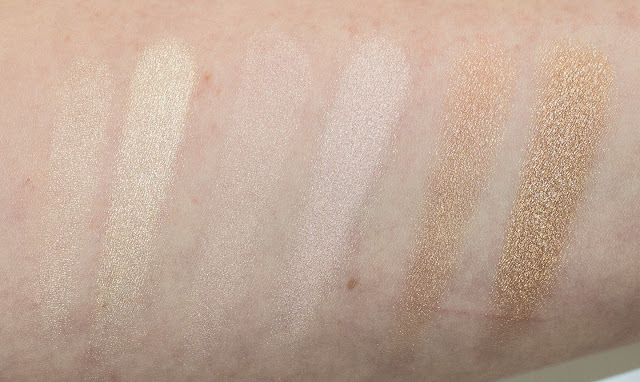 The satin-matte/pearl shade where all incredibly cream to work with and highly pigmented. The shimmers were a tough semi-opaque in apply dry to the skin for some of them but buildable. 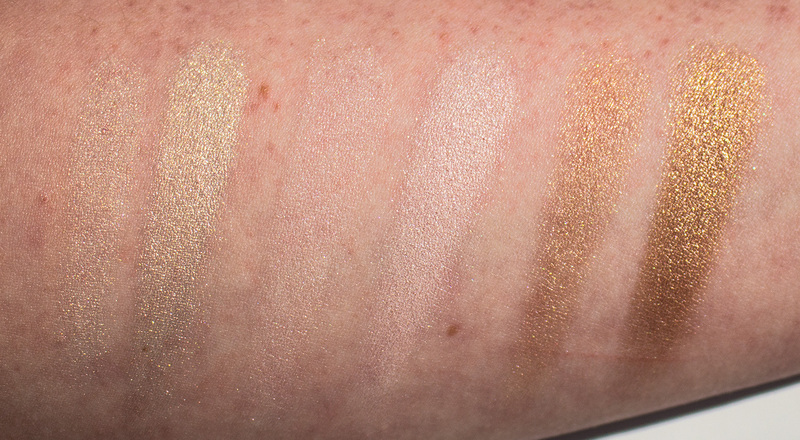 The metallics were also incredibly smooth to work with high pigmentation and shine. 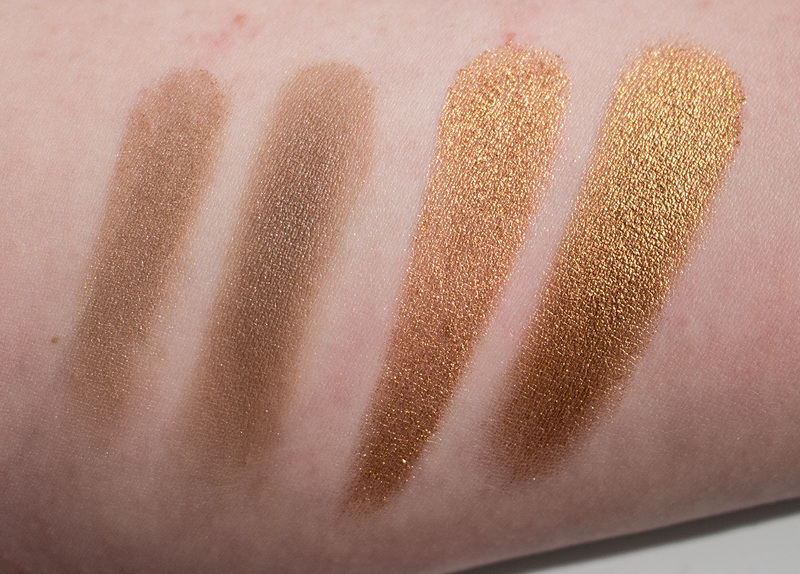 ALL the shade intensity when you apply them with a damp brush. Wear: When applied on bare skin, these wear for about 3-4 hours from the pan and applied wet I get up to 6-7 hours. 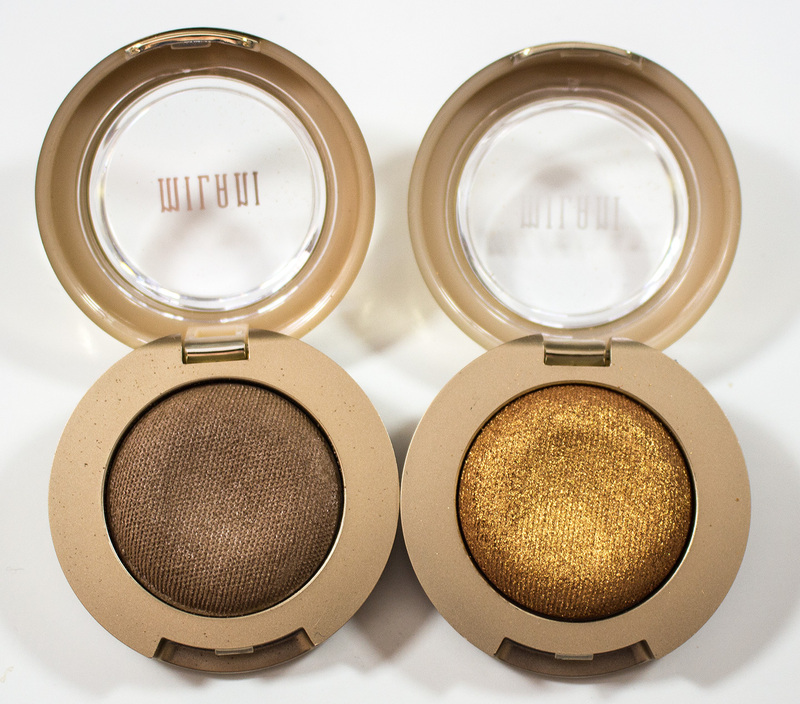 Simple gold compact with a clear flat dome lid to show off the product inside. Bella Chiffon, Bella Ivory, & Bella Sand. Daylight swatches: Bella Chiffon, Bella Ivory, & Bella Sand. Applied Dry than Wet. Flash Swatches: Bella Chiffon, Bella Ivory, & Bella Sand. 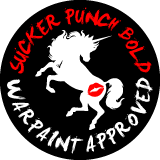 Applied Dry than Wet. 01 Bella Ivory is a pale ivory with a pearl finish. 28 Bella Chiffon is a pale off white with a pink undertone with a satin matte finish. 02 Bella Sand is a pale gold with a metallic finish. Bella Cappuccino, Bella Bronze, & Bella Espresso. Daylight swatches: Bella Cappuccino, Bella Bronze, & Bella Espresso. Applied Dry than Wet. 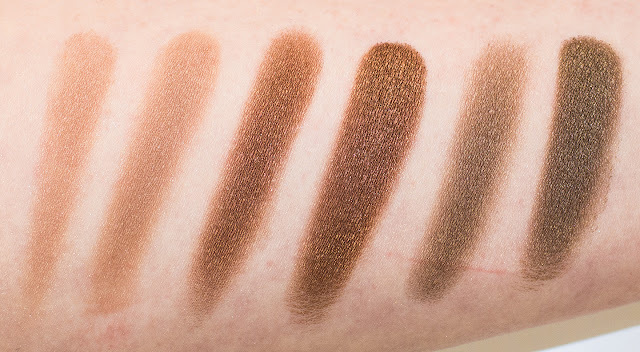 Flash Swatches: Bella Cappuccino, Bella Bronze, & Bella Espresso. Applied Dry than Wet. 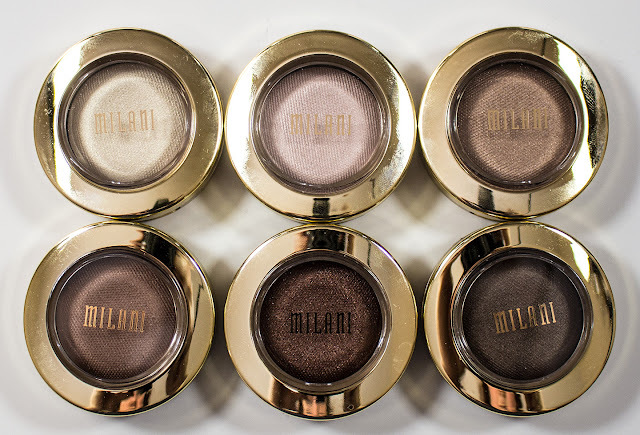 03 Bella Cappuccino is a light red-brown with a satin matte finish. 24 Bella Bronze is a deep brown with a metallic finish. 06 Bella Espresso is a cool neutral brown with a pearl finish. Bella Caffe, & Bella Gold. Daylight swatches: Bella Caffe, & Bella Gold. Applied Dry than Wet. 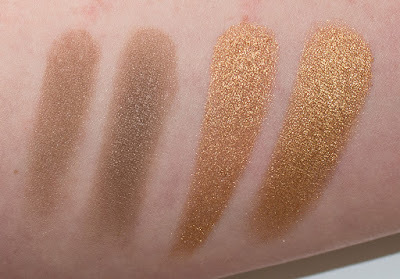 Flash Swatches: Bella Caffe, & Bella Gold. Applied Dry than Wet. 04 Bella Caffe is a warm camel taupe with a satin matte finish. 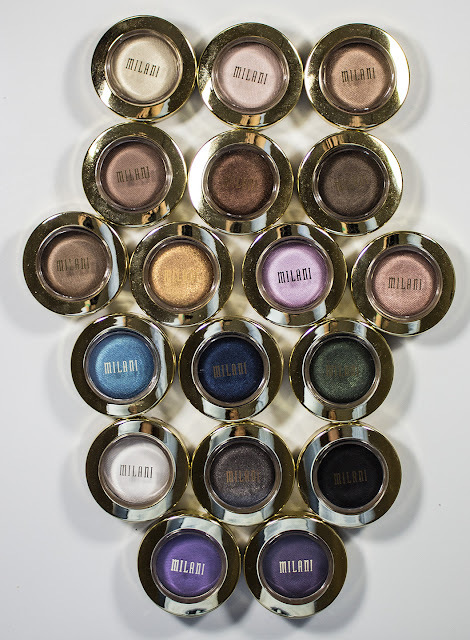 22 Bella Gold is a vibrant gold with a metallic finish. 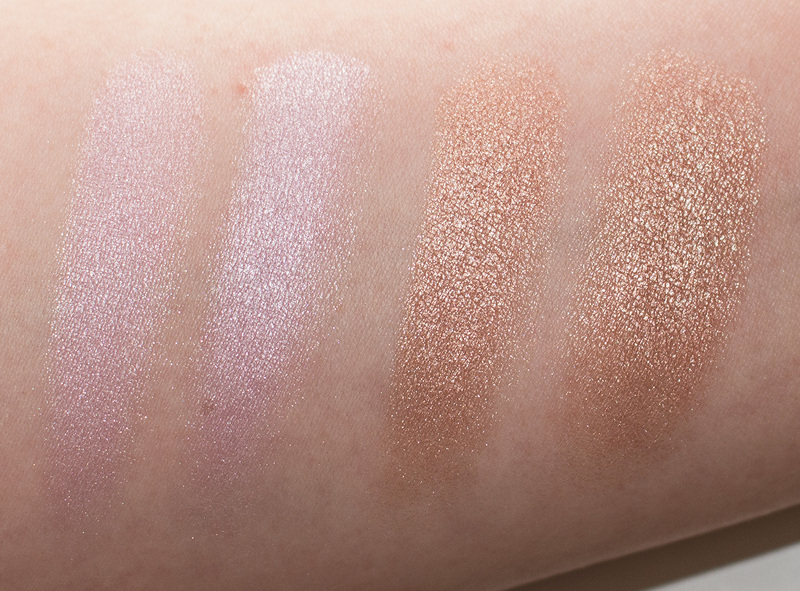 Daylight swatches: Bella Pink, & Bella Champagne. Applied Dry than Wet. Flash Swatches: Bella Pink, & Bella Champagne. Applied Dry than Wet. 13 Bella Pink is pale pink with a pearl finish. 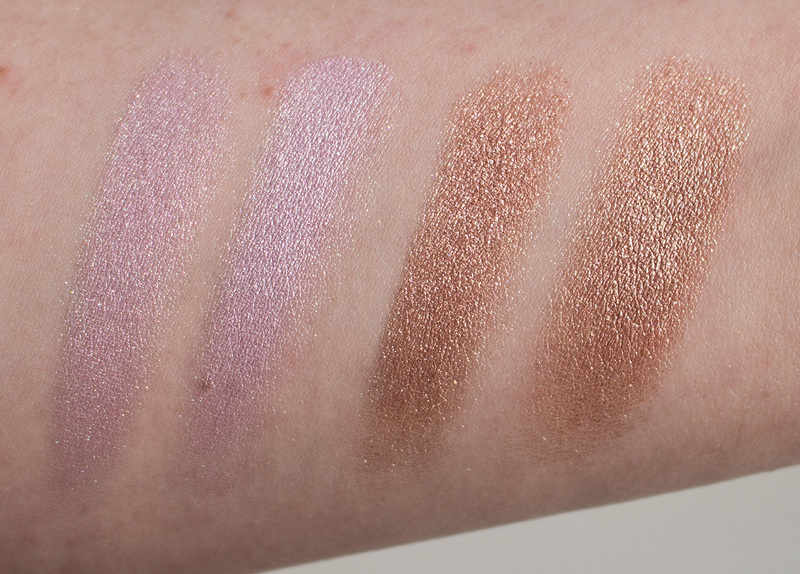 16 Bella Champagne is a rosy light champagne with a shimmer finish. Bella Teal, Bella Navy, & Bella Emerald. 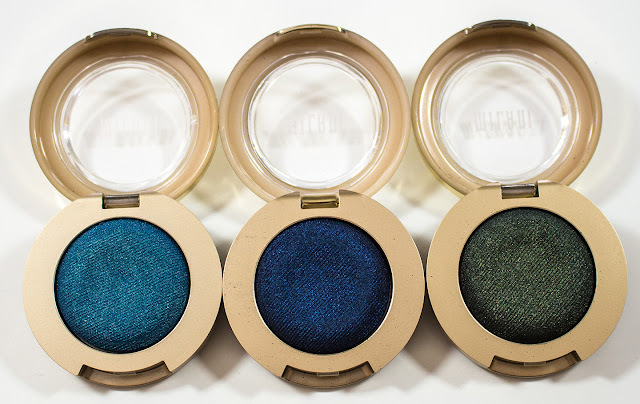 Daylight swatches: Bella Teal, Bella Navy, & Bella Emerald. Applied Dry than Wet. 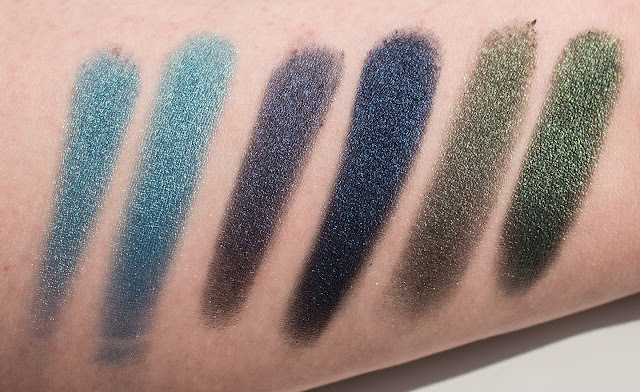 Flash Swatches: Bella Teal, Bella Navy, & Bella Emerald. Applied Dry than Wet. 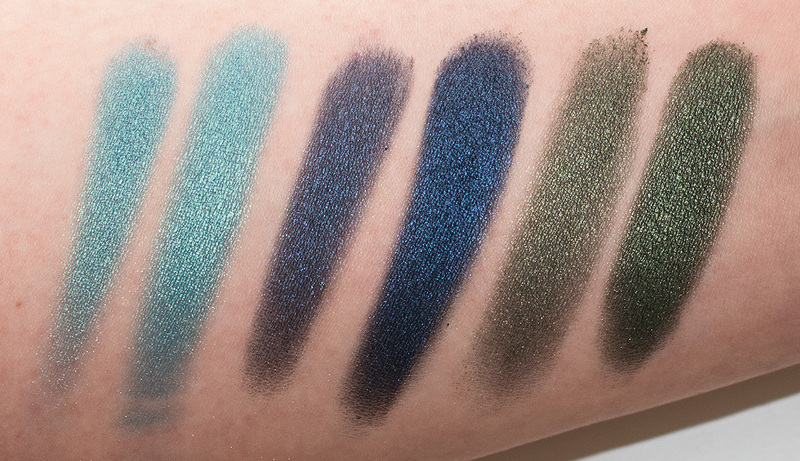 21 Bella Teal is a bright aqua with a shimmer finish. 09 Bella Navy is a true navy blue with a shimmer finish. 18 Bella Emerald is a forest khaki green with a shimmer finish. 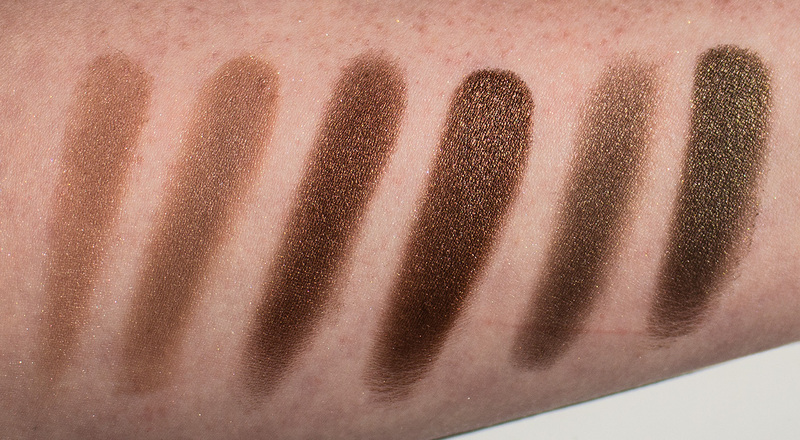 Daylight swatches: Bella White, Bella Charcoal, & Bella Black. Applied Dry than Wet. 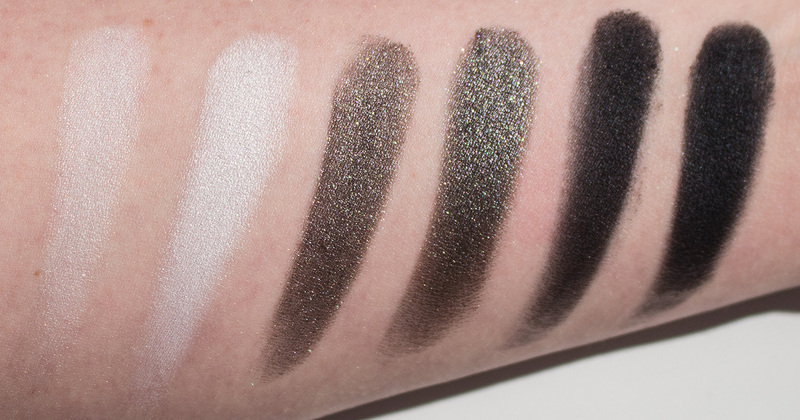 Flash Swatches: Bella White, Bella Charcoal, & Bella Black. Applied Dry than Wet. 07 Bella White is a bright true white with a pearl finish. 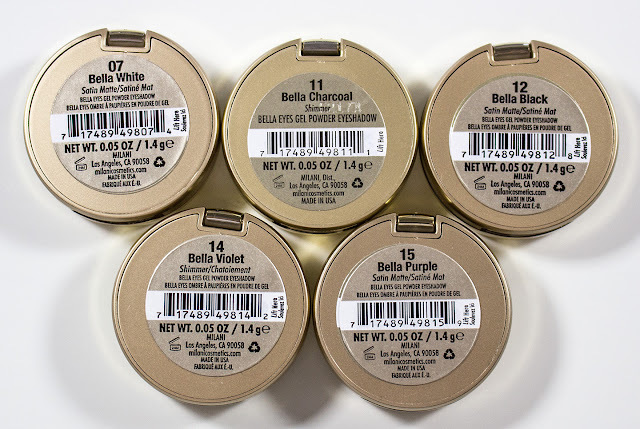 11 Bella Charcoal Shimmering Dark Charcoal with a shimmer finish. 12 Bella Black is a true black with a satin matte finish. 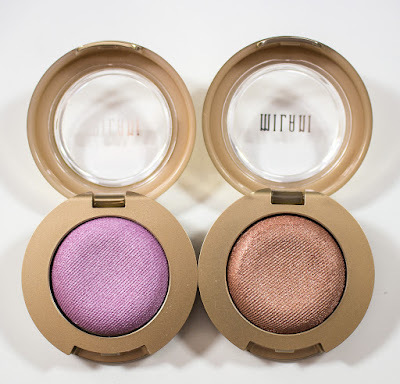 Daylight swatches: Bella Purple, & Bella Violet. Applied Dry than Wet. 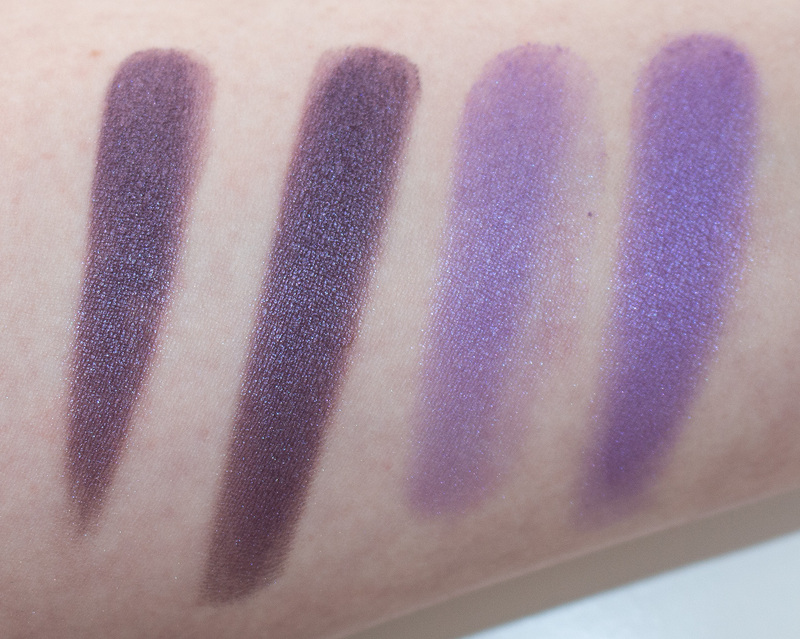 Flash Swatches: Bella Purple, & Bella Violet. Applied Dry than Wet. 15 Bella Purple is a blackened eggplant purple with a pearl finish. 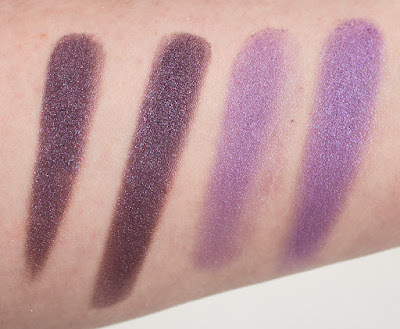 14 Bella Violet os a light lavander purple with a pearl finish. 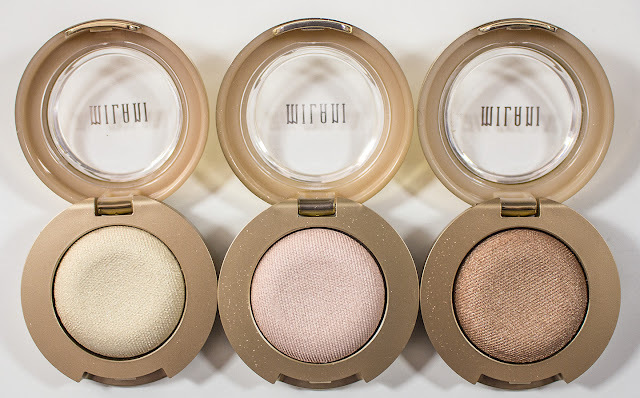 These are just as good if not better than most of the Gelee eyeshadow formula on the market. 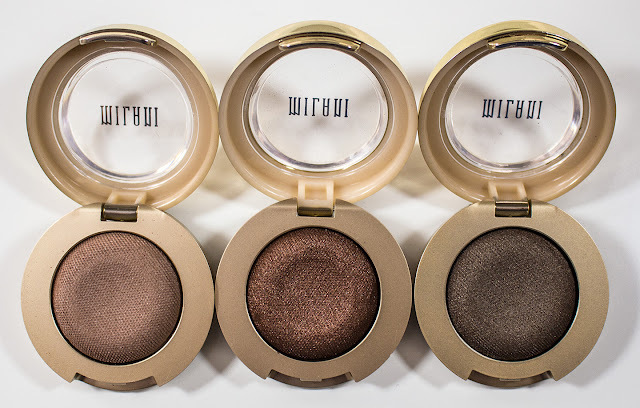 You definatly don't need to buy all of them but these are amazing at this price if you're looking for some solid satin/pearl/shimmer eyeshadows.